So, Mom was cleaning out a closet the other day and came across some old rodeo pictures. Can you guess who this is? If you guessed Clint, you’re right! And for you locals, can you guess where this picture was taken? And guess what, Clint won money on this run. I can’t remember if it was first place, but he got a check. 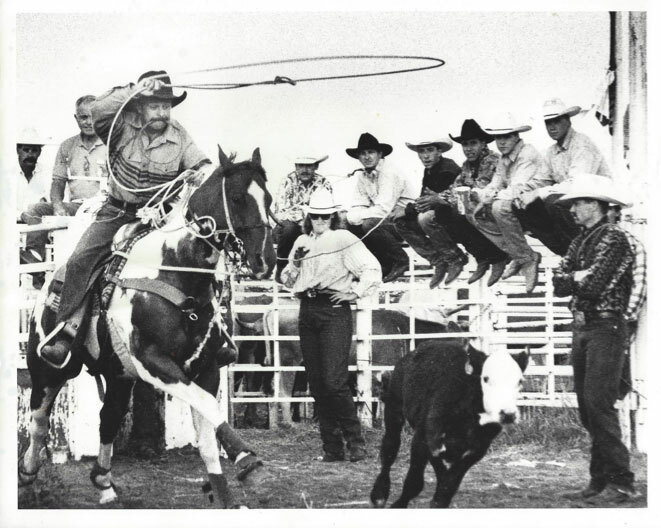 In fact, Clint roped in only 5 or 6 rodeos, but he won money in almost all of them. He may have missed his calling. Lol. I love both of these pictures. 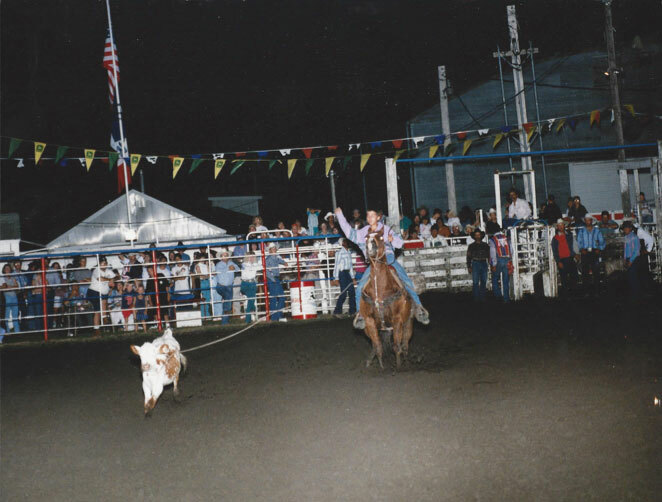 We had a lot of fun going to rodeos when we were younger. Anyway, I hope you’ve enjoyed our short little trip down memory lane. Headed to the rodeo tonight at the Clark County Fair. Since we get a little warm in the summer, our fair is early. Hopefully I will see some good ropers like these two!